Inspired by a newspaper story the film is about an activist leader who had recently been stabbed by reactionary farmers (kulaks). Director followed the dream logic of passion and emotions, skipping impressionistically over events and characters to focus on the generalized, eternal experiences of nature and living things: love, family ties, birth, death, planting and harvest, rejoicing in the fruits of one’s work. Born to a peasant family that descended from Cossacks, Aleksandr Dovzhenko experienced a harsh childhood beset by poverty and strife. He was a director and writer, known for Arsenal (1929), Earth (1930) and Zvenigora (1928). Dovzhenko had long been under observation for supposed nationalist sympathies towards Ukraine. Later films like Shchors and Michurin often suffered as a result of compromises forced on the director by the state bureaucrats. 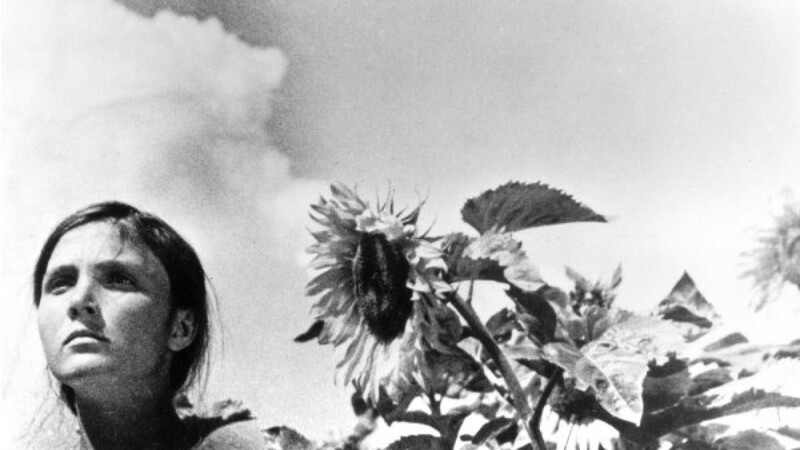 During the Second World War, Dovzhenko directed documentaries and newsreels, developing personal projects such as Poem of the Sea. The latter film and other projects were completed after his death by his wife Julia Solntseva. His most significant work in this otherwise unfulfilling period was his post as a teacher at the VGIK, the state sponsored film school at Moscow. His students included film-makers like Larissa Shepitko, and most notably Sergei Parajanov. Love's Berrie (1926), Vasya the Reformer (1926), The Diplomatic Pouch (1927), Zvenigora (1927), Arsenal (1928), Earth (1930), Ivan (1932), Aerograd (1935), Bukovyna: a Ukrainian Land (1939), Shchors (1939), Liberation (1940), Battle for Soviet Ukraine (1943), Soviet Earth (1945), Victory in the Ukraine and the Expulsion of the Germans from the Boundaries of the Ukrainian Soviet Earth (1945), Michurin (1948), Farewell, America (1949), Poem of the Sea (1959).